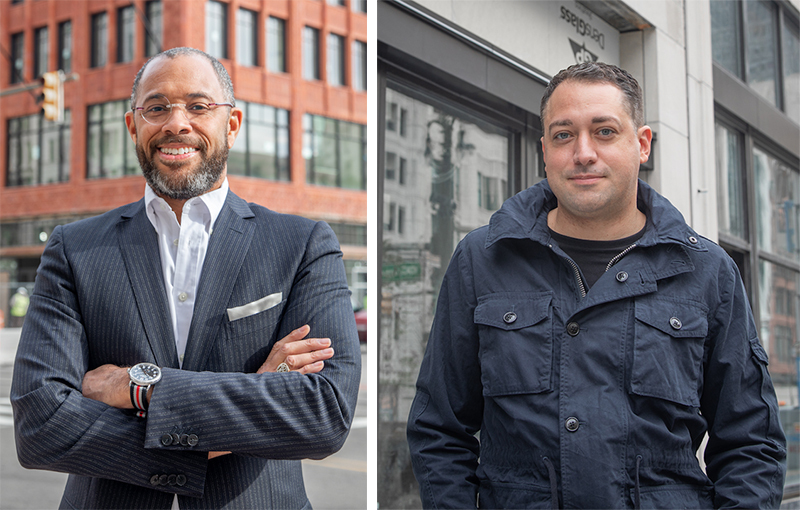 Detroit’s Shinola Hotel has filled two key positions, naming Elliott Broom as general manager and Sol Andrews as food and beverage director, as the opening of the hotel approaches. “The Shinola Hotel will offer Detroit and its guests a unique experience from the moment they walk through the front door into Detroit’s new living room,” says Andrew Leber, vice president of hospitality at Bedrock. “But it doesn’t stop there. Whether you are dining at one of the several restaurant options, shopping at the curated retail stores, attending a wedding or other event, or staying in one of the exceptionally designed guest rooms, Shinola Hotel will not only captivate your senses, but will leave you with a feeling that is authentically Detroit. As general manager, Broom will serve as the hotel’s top executive. He spent 10 years as vice president of museum operations at the Detroit Institute of Arts, where he was responsible for the daily operation of the museum. He also has experience in the hospitality industry, most recently serving as hotel manager at the Hotel Palomar in Dallas. Broom’s experience also includes roles at The Peninsula Chicago Hotel, Four Seasons Hotel Los Angeles at Beverly Hills, and the Ritz-Carlton (now The Henry) in Dearborn. Broom earned his degree in art history and administration from the University of Michigan-Dearborn. Andrews has 17 years of experience in food and beverage operations and most recently served as NoHo Hospitality’s director of food and beverage at The William Vale in Brooklyn. In his new role, Andrews will oversee Shinola Hotel’s seven dining concepts and event spaces, all operated by NoHo Hospitality. Following a five-year tour of active duty with the U.S. Army, Andrews took on management roles at Scarpetta at Fountainbleau, Loews Miami Beach, and the Forge, all in Miami; the Venetian Las Vegas, and Hard Rock Casino Hollywood. The Shinola Hotel is a partnership between Detroit-based watch and leather goods manufacturer Shinola and Bedrock, a Detroit-based multiservice real estate firm. The hotel will feature 129 guest rooms and more than 50 room configurations with custom millwork, wallpaper inspired by patterns found during the renovation process, and Shinola vinyl audio equipment. Shinola Hotel will also include a terrazzo-floored ballroom, a glass-enclosed conservatory, dining concepts from award-winning chef Andrew Carmellini, and on-site shopping options. It combines two restored buildings – the T.B. Rayl and Co. department store and a former Singer sewing-machine store – along with three new buildings inspired by downtown Detroit’s historic architecture.